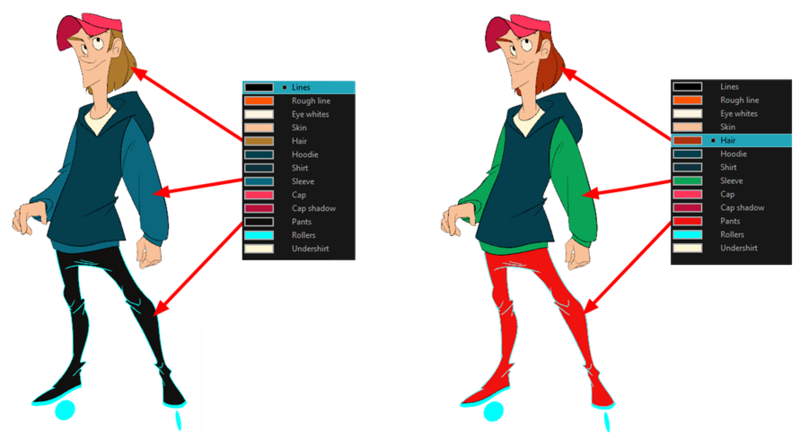 Toon Boom Harmony has some very powerful colouring features when it comes to painting. To paint your drawings, you will use different colour swatches, unlike some other painting programs where you modify the main swatch each time you want to paint with a different colour. In the Colour view, select a palette. ‣ If you are working with vector layers, double-click on a colour swatch to open the Colour Picker window and modify the colour. 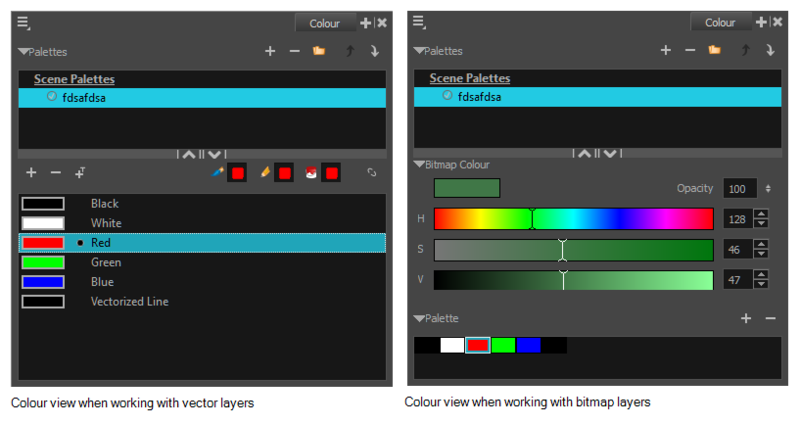 ‣ If you are working with bitmap layers, use the RGB/HSV controls to select a colour. 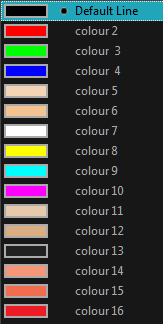 NOTE: The colour palette only appears in the Colour view when you select a drawing element. When painting, notice that some of your drawing areas are not closed. 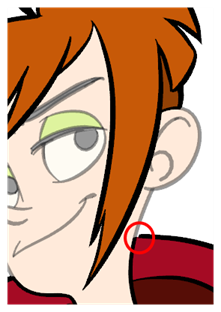 To close the zone, you can draw the missing line with the Brush or Pencil tool or close the gap with an invisible line. To do so, you will use the Close Gap tool. 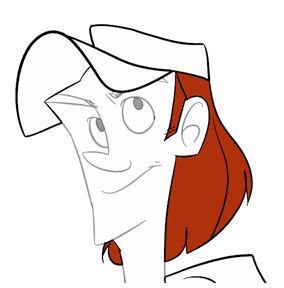 The Close Gap tool lets you close small gaps in a drawing. The Paint tool only paints closed areas. The Close Gap tool creates small, invisible strokes between the two closest points to close the colour zone. You do not need to trace directly over the gap. You can draw it a few millimetres away and the Close Gap tool will automatically choose the two closest points and close the gap. ‣ In the Tools toolbar, select the Close Gap tool. ‣ From the top menu, select Drawing > Drawing Tools > Close Gap. ‣ Press Alt + C.
You can display invisible lines by selecting View > Show > Show Strokes or pressK. If you do not display the strokes, a message box will appear. Select the Don’t Show This Message Again option to prevent this message box from appearing again.